This program takes viewers step by step through the individual components of each jumping event. Coach Rod Tiffin provides numerous training exercises and practice drills for the four jumping events: pole vault, high jump, long jump and triple jump. 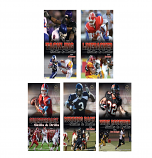 The coach also provides a detailed chapter covering plyometric exercises designed to develop explosive power. 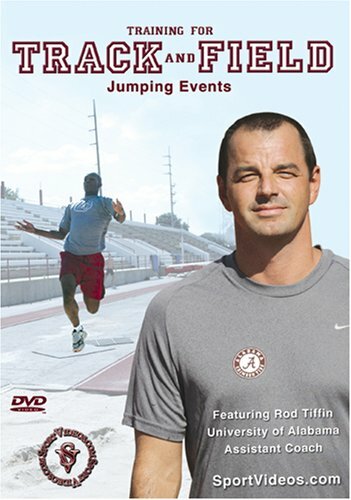 This DVD is a great resource for coaches who need to be well-versed in every jumping event. The in-depth demonstrations of proper techniques also make this program very beneficial for athletes at any level. About the Coach: Rod Tiffin is an assistant track and field coach for the University of Alabama. His primary coaching responsibilities include the long, triple and high jumpers, multi-event athletes and the throwers. Prior to coaching for the Crimson Tide, Tiffin coached the highly successful field event crew at Auburn University. He also served one year as the head track and field and cross country coach at the University of Alabama at Birmingham. Tiffin has coached All-Americans in several different field events. He has worked with several NCAA Champions, two World Championship Athletes, two Olympians, an Olympic Festival team member and a gold medalist at the 2001 World University Games.